Instruction for use: Use for seasoning, dipping and cooking Chinese cuisine. Ingredients: Water, Chinese Sorghum, Green Pea, Bran (Wheat, Rice). 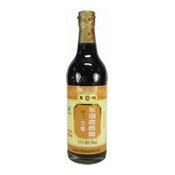 Simply enter your details below and we will send you an e-mail when “Shanxi Mature Vinegar (3 Years) (山西三年老陳醋)” is back in stock!